Aquarius Scuba has proudly served Toronto and Southern Ontario for over 30 years. We offer unlimited use of an Olympic-sized pool, a state-of-the-art classroom to enhance your learning experience, TTC accessibility, and plenty of free parking. As a PADI 5 Star Instructor Development Centre, Aquarius Scuba is the most award winning PADI dive centre. To get this rating requires dedication and true leadership in the scuba industry. We train more divers than any other dive centre in Ontario, and we're one of the largest diving centres in Canada. We have over 30 experienced and passionate Instructors and offer courses conveniently every weekend or privately to accommodate your schedule. We guarantee the best scuba training available at competitive rates. Our experience and knowledge in recreational and technical diving ensures safety is the highest priority, no matter what level of training. And of course, we love to have fun along the way! At Aquarius Scuba, you are getting the best instruction from our PADI Elite Award winning instructors. Call us today and discover why Aquarius Scuba is where Toronto learns to dive. We always organize the most frequent and wide-ranging dive trips available locally and internationally. From dive resorts to liveaboards.. we have it all to fit any budget. Check out our latest dive travel adventures on YouTube . Call us for more info about our upcoming dive trips. Welcome to the largest fully stocked inventory selection of snorkeling, freediving, and scuba diving equipment in the Greater Toronto Area. As one of Canada's largest dive shops, we are proud to offer the largest brand selection available and we recommend only the best brands in scuba, manufactured of the highest quality and design to maximize comfort when diving. 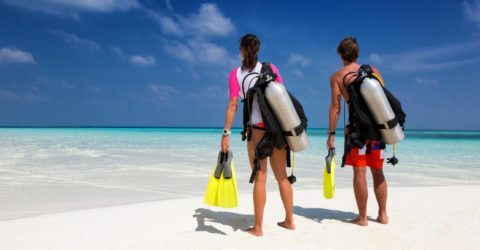 Browse online or visit the dive shop and see our impressive scuba gear selection. 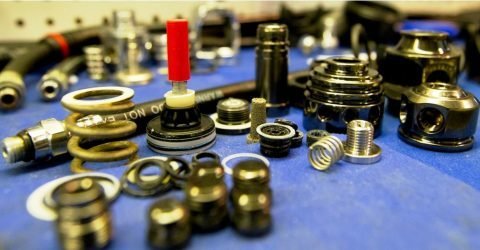 Our friendly, knowledgeable, and experienced advisors will help you choose the right gear. 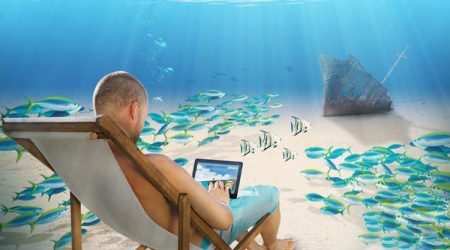 Have you ever dreamed of passively exploring the underwater world free from equipment? Freediving is the most natural and serene way to explore the depths of the oceans with minimal impact. It is also the ultimate way to free yourself and spend more time enjoying the beauty and silence of the sea. Join AIDA, a world wide freediving community or take the PADI Freediver specialty course, available every Monday night at the 17 ft. deep Etobicoke Olympium Pool, and learn from the best in the sport. 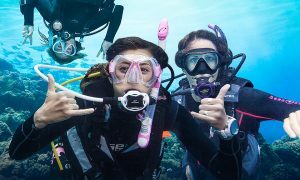 BOOK YOUR SCUBA DIVING CERTIFICATION TODAY! Call us (416) 604-4203 or book online now!